Rectory Farm Bed and Breakfast is a Yorkshire stone built farmhouse nestling in the picturesque village of Levisham nr Pickering at the heart of the North Yorkshire Moors, close to Dalby Forest and the famous North York Moors Railway. 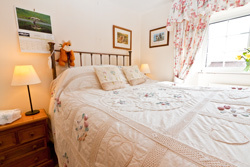 At Rectory Farm we've tried to include those little touches that make all the difference to your stay. Small things like fresh flowers, hot water bottles, well stocked complementary tray with herbal teas and infusions, fresh milk, cork screw and wine glasses, hair dryers, Egyptian cotton linens, bath towels and bathrobes await you in your room. 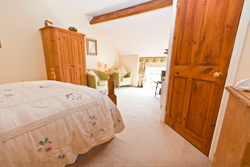 Rectory Farm also has a spacious and comfortable guest lounge with flat screen television with Freeview, local information and books / magazines, together with a roaring log fire for the cooler evenings. Free wi-fi internet access is also available. 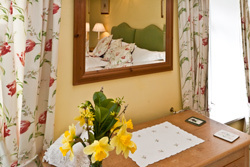 Relax by the fire before dinner or after a day walking on the moors. Enjoy tea and home baking on arrival with our compliments. Stroll across the village green to the local pub for a glass of wine or a beer outside on summer evenings. 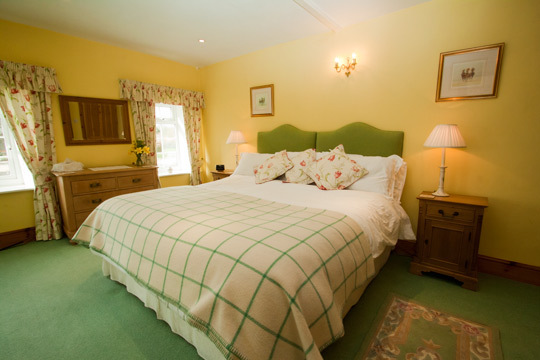 For price information, please visit our B&B Prices page. To make a booking please contact us on 01751 460304 or e-mail us on info@rectoryfarmlevisham.co.uk. We look forward to welcoming you to our home soon.